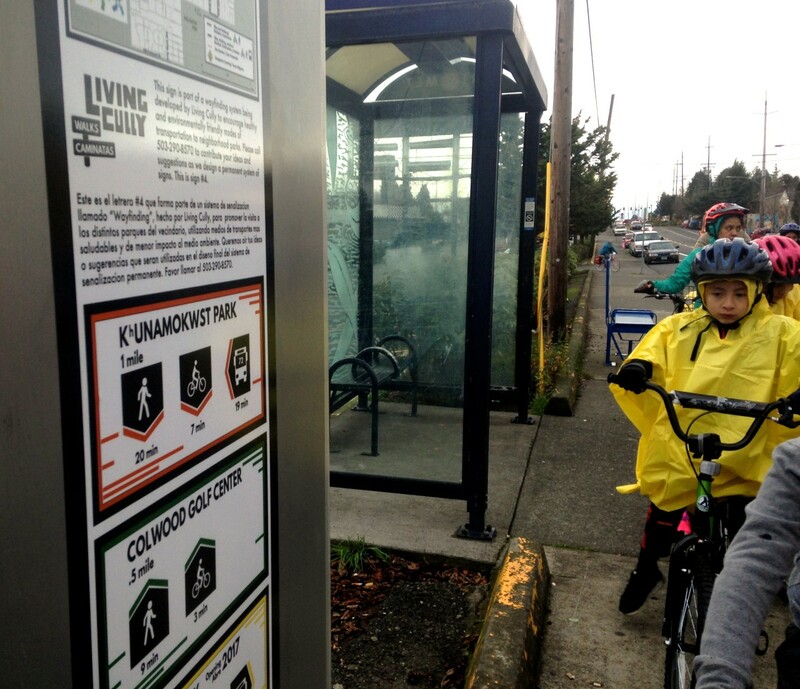 After a push in the Cully community for better navigation aids in the neighborhood, Living Cully entered phase two of new wayfinding signage, including temporary signage that pedestrians and bicyclists tested out this past Saturday. On Saturday, despite the rain, there was a good turn out at Living Cully Plaza to test out the new neighborhood wayfinding system and provide feedback. The guided walk and a bike ride gave people the opportunity to discuss and provide feedback on the new infrastructure. 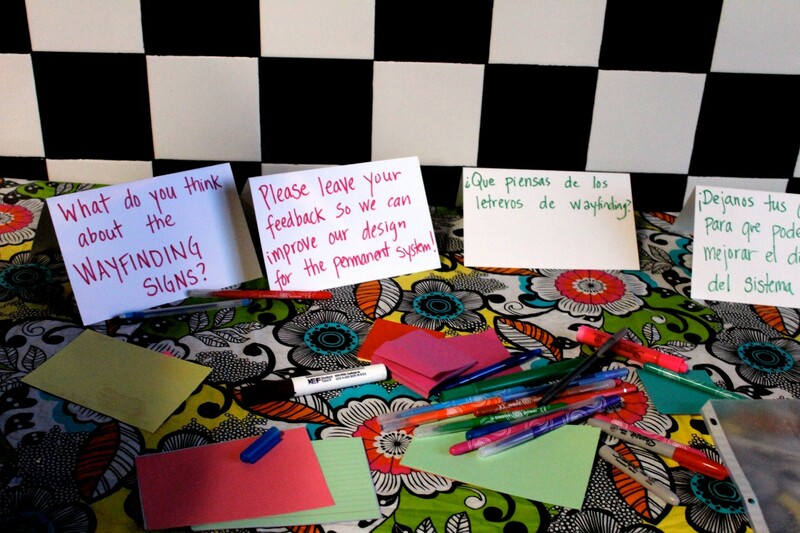 Overall, people liked the signs, but the main hope for the final signage was that they would be bigger and more colorful. 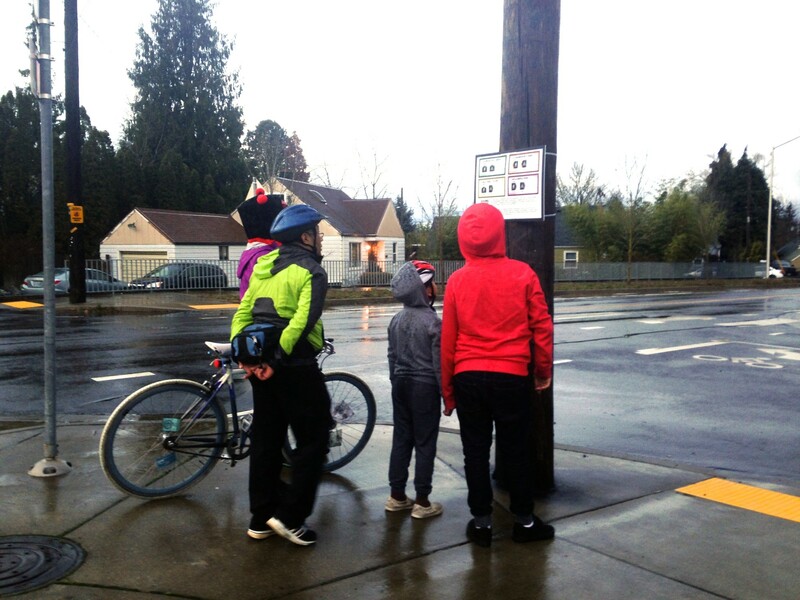 Other people suggested making the signs reflective, including cardinal directions and a map of the entire route. While there is still work to do, people are excited about the new addition to the neighborhood and can’t wait to get out there and use it!